Washington DC Background Check Errors | Blankingship & Christiano P.C. 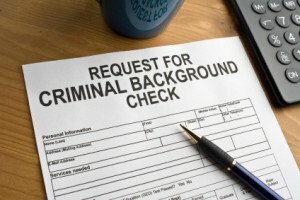 Background check error lawyers at Blankingship & Christiano, P.C. are keenly aware of how the inaccurate compilation and dissemination of your personal information can create chaos in your life. There are all types of reports about you that are kept in federal, state, private, and shared databases. Times are challenging. You should not have to justify yourself to others because of their inaccurate information about your character and financial status. Potential employers, merchants, and all those who would provide you consumer products and vital services—insurance, utilities, etc.—need an accurate picture of who you really are. Our consumer protection lawyers aggressively pursue credit reporting agencies and furnishers who refuse to correct erroneous information that can lead to loss of employment, increased insurance costs, and higher interest rates. We can obtain compensation for you for the losses and distress that you suffer from the wrongful actions or inactions of others.